Hey, all you experienced, passionate, strategic professionals out there. If you’re promoting yourself on LinkedIn with those words, you may not be standing out the way you hoped. Apparently, too many of LinkedIn’s more than 546 million users worldwide (as of January 2018) are using the same words to describe themselves. The result? The descriptions have become meaningless buzzwords. Show vs. tell: What’s your education and experience? What goals have they enabled you to achieve? What extra training have you had? What designations or other credentials can you claim? Show vs. tell: How many people did you lead and what did they achieve? How have you inspired and mentored people? Can you quantify your results with percentage or dollar improvements? Show vs. tell: What drives you to succeed – your love of words or numbers? Helping others? What job roles and volunteer roles demonstrate your passion? Do you sharpen your skills at X every year? How did you go above and beyond an assignment or task? Show vs. tell: Describe the creative efforts that led to success. Did you come up with a creative fix or an improvement that saved $X per year or generated an X% increase in sales? Show vs. tell: Give examples where you have used strategic thinking. Have you anticipated trends or issues? How have you linked your actions to your goals? How did your actions fit the bigger picture? Show vs. tell: Can you quantify your results with percentage or dollar improvements? What awards have you won? Also make sure you have recommendations and endorsements in each area. 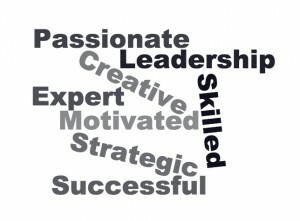 An objective comment about your passion or leadership skills carries more weight than your own opinion.